A sand-strewn courtyard in Pangkor Laut. 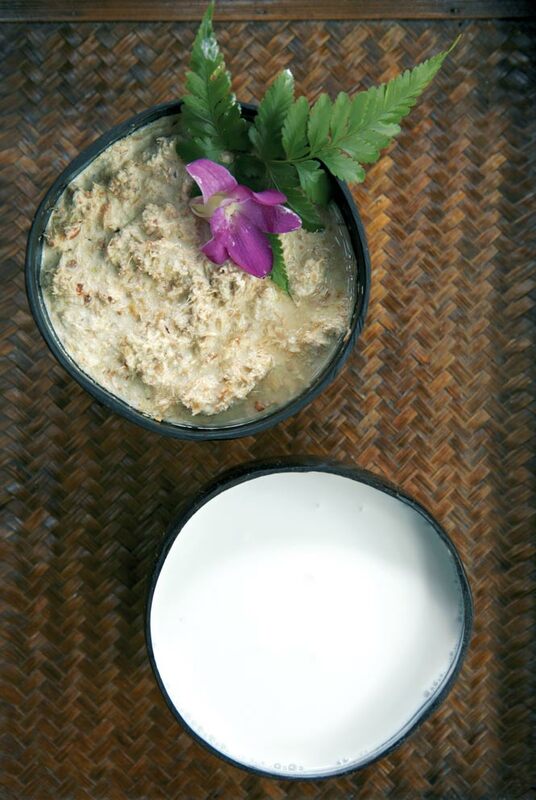 Ingredients for an herbal scrub at the Spa Village at Pangkor Laut. At The Banjaran Hotspings Retreat near Ipoh, a therapist displays the ingredients used in the spa’s Adam Traditional Malay Journey ritual, including a boreh scrub, rock salt, coconut-milk powder, and a blend of lavender and lemongrass oils. Above: The upper-floor balcony at Port Dickson’s Avi Spa. Okay, maybe not entirely unequivocal. Touchy-feely isn’t my thing, and I could expect plenty of touching and feeling (and scrubbing and wrapping) on this trip. Nor do I do yoga. As for lying naked on a massage table, well, let’s just say my father’s profound sense of modesty didn’t skip a generation. 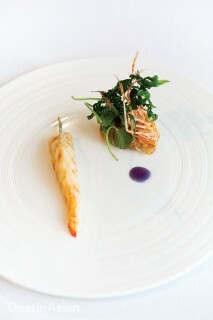 Nevertheless, a little research revealed that Malaysia’s spa scene was as indulgent as anything in Thailand or Bali. And if all I had to do was lie back and soak it up, I could gladly shelve my inhibitions for a few days. You’ve never heard of Port Dickson? To be honest, I hadn’t either, until it turned up as the first stop on my itinerary. Snug on the peninsula’s west coast about halfway between Kuala Lumpur and Malacca, PD, as the locals call it, is pretty much the preserve of weekend warriors from the capital, for whom this is the nearest beach destination. The town itself, a former coal center, is a forlorn affair. But with 18 kilometers of palm-fringed coastline just an hour’s drive from downtown KL, it has managed to keep itself on the map. It’s a school holiday on the afternoon I arrive, and the resort where I’m staying, the Avillion Port Dickson, is brimming with families. As I’m led away from the clamorous buffet restaurant along a garden pathway hemmed by bromeliads and heliconia, I’m pleased to discover that my room is one of a cluster of wooden chalets built on stilts above the shallows, at the end of a broad timber pier. My small balcony looks directly onto the Strait of Malacca, though admittedly the water isn’t as clear as it could be. In the bathroom, I can peer down an air well and watch the tide wash back and forth. I’m also just steps away from Avi Spa, which opened a couple of years ago on the most seaward of the resort’s piers. Unlike the dark- wood chalets, with their four-poster beds and outmoded furnishings (like me, they are in need of rejuvenation), the spa is light and bright, housed in a soaring glass-fronted pavilion under a sail-like canopy. It looks like it’s floated in from Sydney or Vancouver. 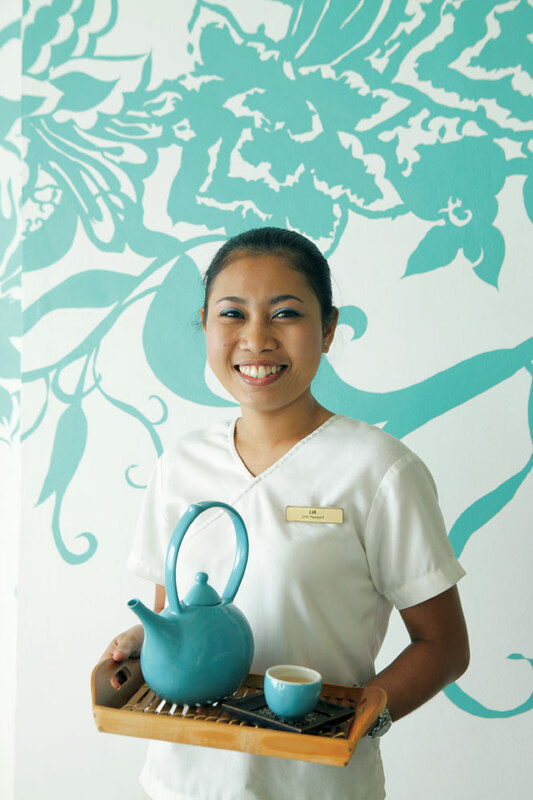 Though the spa’s manager, Vila Ikon, is from Sarawak, and my therapist turns out to be a Filipina, treatments here emphasize the Peranakan traditions of nearby Malacca, which sounds as good a way as any to start my Malaysian immersion. After check-in formalities (filling out a health form, deciding which custom blend of essential oils best fits my mood), I’m led into one of the seven teal-accented treatment rooms, where my Avi Traditions ritual—a four-hour marathon—begins with a foot bath followed by a bergamot-infused soak in a big tub positioned next to the window. Twilight is beginning to gather on the water outside, and while what looks like an oil rig on the far horizon threatens to break the spell, I drowsily decide that I’d be happy to spend the rest of the night steeping in this seaside perch. Eventually, I’m coaxed out of the tub and onto a table for a vigorous Peranakan-style tuina massage, a combination of long, kneading strokes and Chinese acupressure. Then comes a pomelo scrub that leaves me smelling of citrus and ginger, and, after a quick shower, a hair treatment using hibiscus and coconut oils. 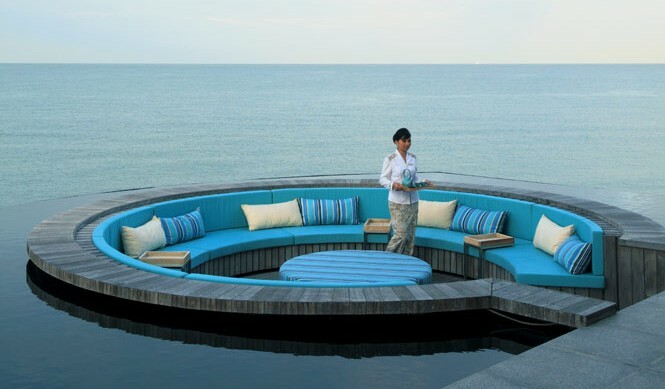 Later, I retire upstairs to the spa’s balcony, where an infinity pool encompasses a circular banquette. Hovering above the water under a starry sky, I almost float off myself. If anything’s guaranteed to put you in the mood for a massage, it’s the four-hour drive from Kuala Lumpur to Lumut, the hopping-off point to Pangkor Laut. I’m sure you’ve heard of that name: Pangkor Laut, the sole occupant of a 120-hectare, forest-shrouded island, is one of the country’s best-known resorts, having appeared as a backdrop in a couple of Sports Illustrated swimsuit editions and, more recently (for those of you who are keeping score), as a location in the current season of Britain’s Next Top Model. 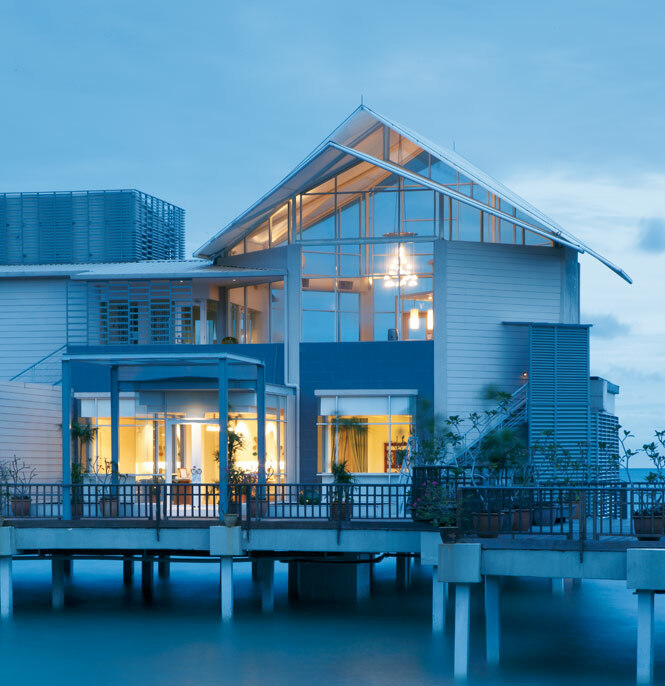 It’s also the place that helped kick-start the Malaysian spa scene back in 2002 with the opening of the Spa Village, a rambling complex of pebbled courtyards, breezy pavilions, pools, bathhouses, and its own string of overwater guest villas, all connected by a wooden walkway that branches from the shoreline. My boat from the mainland—a 40-minute crossing—arrives in time for me to book a Campur-Campur treatment, which combines the long strokes and turmeric-scented oil of Malay urut rubdowns with the pulling and stretching of Thai massage. My masseuse, a tiny lady from Bali called Triwi, wastes no time relieving my road-weary muscles; and though I must be four times her weight, she seems to have no difficulty bending me into various yogalike positions. 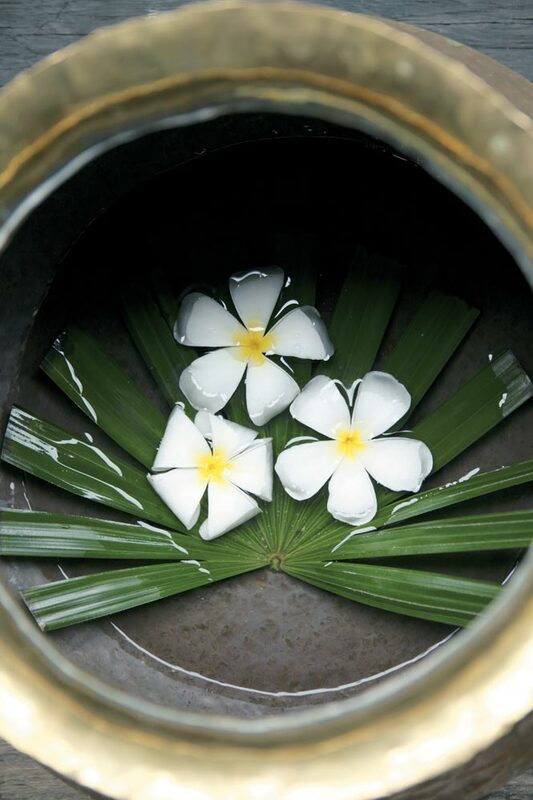 While the Spa Village’s sensibility is Malay, for its signature therapies, it has turned to the two great healing arts of Malaysia’s other sizable communities: traditional Chinese medicine (TCM) and India’s Ayurveda. With time to sample only one, I choose the former. And so the next day, after lolling on the powdery sands of Emerald Bay, I meet with Dr. Zhang, the resident TCM specialist. In his gazebo-clinic on the edge of an herb garden, he feels my pulse, looks deep into my eyes, studies my tongue, and pronounces that my major organs are fine. 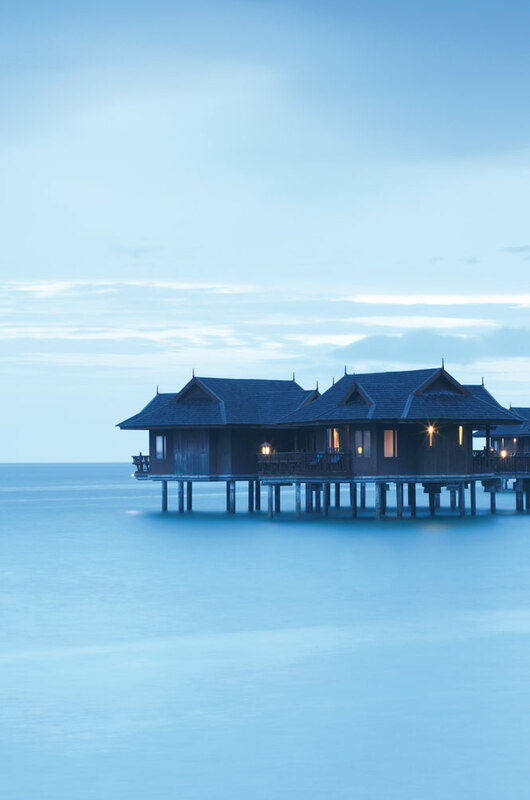 Above from left: Overwater spa villas at Pangkor Laut; an Avi Spa therapist; a twilit view of Avi Spa’s striking exterior; inside a spa pavilion at the Four Seasons Resort Langkawi. After this, I’m escorted to the men’s section of a compound known as the Bath House, which serves as the preamble to the spa’s treatment programs. The experience begins with Chinese foot-pounding, in which my attendant, a cheery fellow named Henry, pummels my soles with a wooden hammer. “For blood circulation,” he says. Then I’m invited to wade around the Malay Bath, a shallow pool into which water gushes from a row of terra-cotta urns. The effect is meant to evoke a sense of traditional village bathing in rivers and waterfalls. The next stop on my circuit is something else entirely: a Japanese-style bathhouse where, after scrubbing myself with a goshi-goshi cloth, I sink into the hot waters of a stone-lined rotenburo pool. Dr. Zhang is waiting for me when I finish, to give me tuina-anmo therapy, which essentially translates as “pushing-grasping-pressing-rubbing.” When it’s over, I feel as limber as one of the macaques I spotted earlier cavorting in the trees behind the spa. 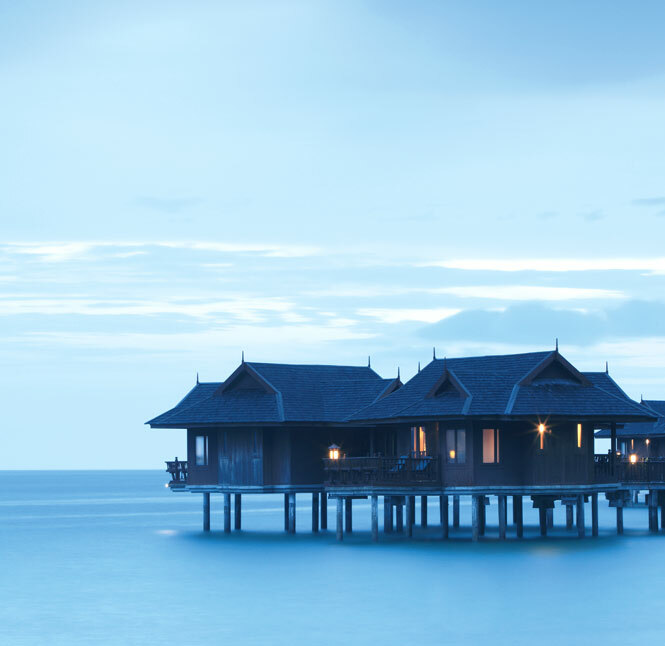 Pangkor Laut’s parent company, YTL Hotels, clearly knew that it was onto a good thing with the Spa Village, and has since rolled out the concept to Pangkor Laut’s sister resorts in Malaysia. Back on the mainland, I head up to the Cameron Highlands to see how the beach-born idea has played out in the mountains. I’ve visited this erstwhile British hill station on a couple of occasions over the years, and despite the ugly concrete developments that have mushroomed on its slopes, I still find it a pleasant, cool escape from Malaysia’s sweltering coasts. Yet there was never a decent place to stay. The Cameron Highlands Resort, which opened in 2006 across the street from an 18-hole golf course, has remedied that. The building itself is the once tatty Merlin Inn, now fully refurbished with colonial-style furnishings, modern amenities, and an atmospheric lounge and dining room—think potted palms, white wainscoting, brass fittings, and vintage prints. 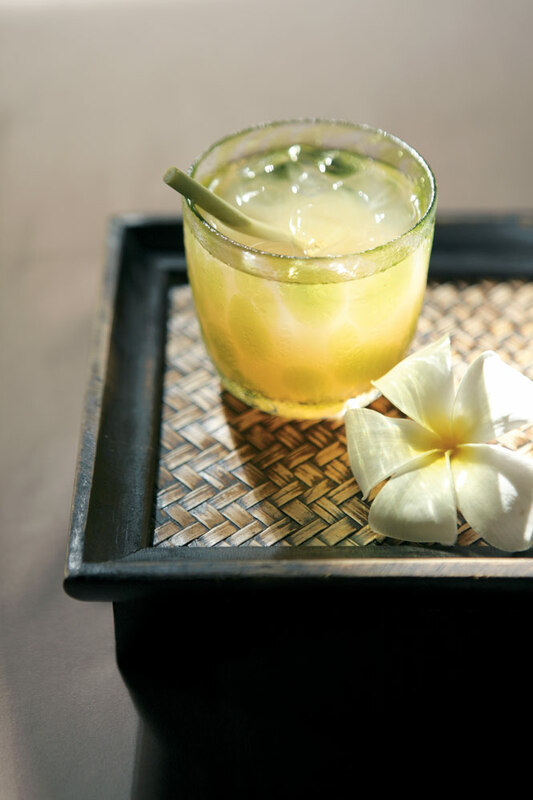 And the Spa Village, while not as expansive or as beguiling as its forerunner at Pangkor Laut (it occupies a two-story building at one end of the property), will appeal to even the most jaded of spa-goers. 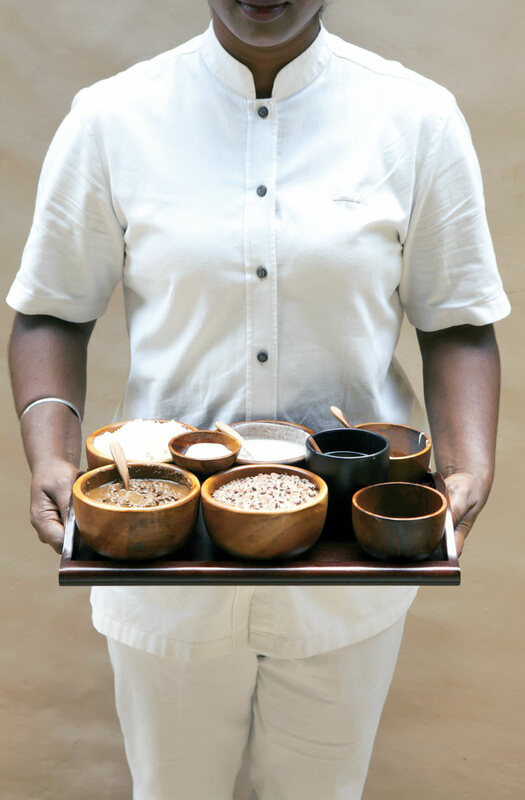 The treatment menu incorporates produce fresh from the surrounding hills, in flourishes like a strawberry body polish or rose-petal body scrub. 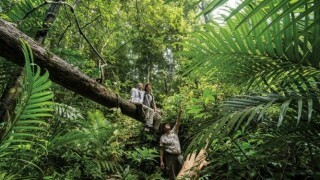 It also takes its cues from the jungle pharmacology of the Semai—one of the area’s indigenous peoples, or orang asli—in scrubs and massages that utilize medicinal highland plants. I opt for a rubdown with heated stones that my therapist says will enhance my agility. Maybe it was just the crisp, 21°C air, but afterward, I felt ready to sprint back down the mountain. Above from left: The meditation cave at The Banjaran; an herbal-pouch massage at Pangkor Laut; the relaxation area and ginger tea at the Four Seasons’ spa. Instead, I hopped a cab for the winding, hour-long drive to The Banjaran Hotsprings Retreat. If I had had my doubts about this place, which was opened earlier this year by Malaysia’s Sunway Group, a conglomerate perhaps best known for big property developments and theme parks, I needn’t have. 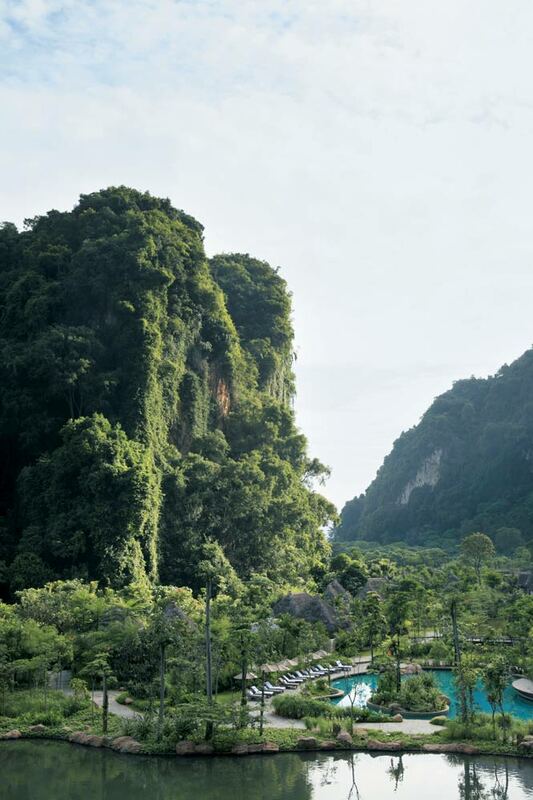 The Banjaran lies just outside the town of Ipoh on a seven-hectare estate framed by towering limestone karsts. The setting has an Edenic quality to it—by turns lush, primordial, exotic. And those hot springs in the name are the real thing: geothermal pools that well up from deep below the mountains. 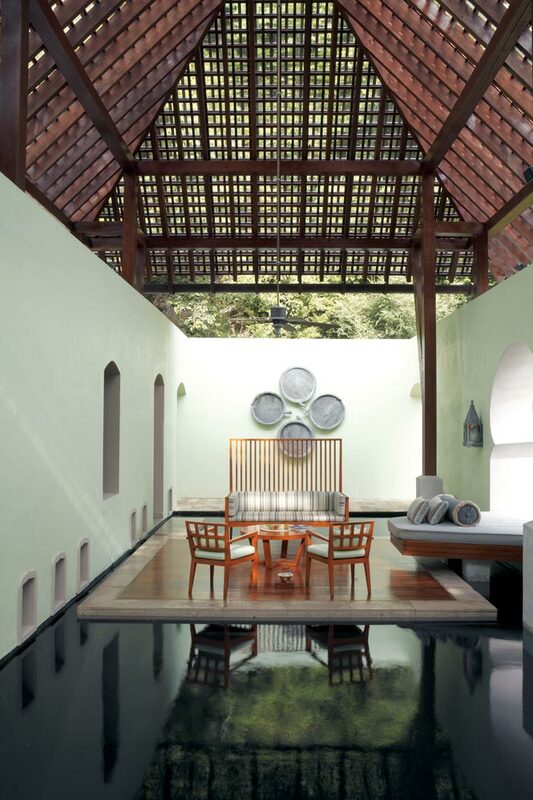 Scenes from The Banjaran (from left): A couple’s treatment room; an invigorating boreh scrub of cinnamon, clove, nutmeg, and pulasari wood; a poolside cabana. The thatched-roof guest villas here, of which there are only 25, are also unexpectedly lavish—though at around US$564 a night, so they should be. Each comes with its own turquoise-tiled plunge pool, open-air living area, teak-floored bedroom, and enormous bathroom equipped with a hot-spring-fed Jacuzzi. Even so, the most striking feature here is the caves at the base of the cliffs. 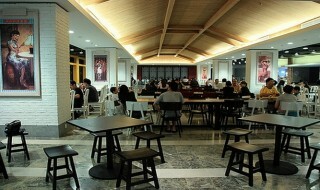 One has been transformed into a series of subterranean dining and lounging spaces. Another grotto, with a hot spring burbling out of its floor, serves as a natural steam room. 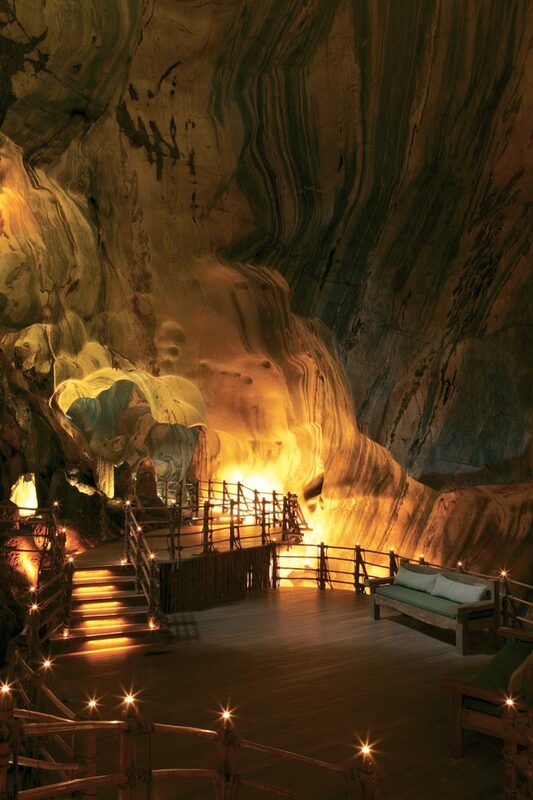 And then there is the “mediation cave,” a vast, ancient chamber of granite and limestone where the resort has built a series of wooden walkways and platforms. You can do yoga in here if you want, in the gloaming of tiny tea candles, but I prefer to just sit on a bench and listen to the trickling of an underground spring. Not all is perfect: why the resort felt it necessary, in the midst of this natural splendor, to add such “enhancements” as the faux-rock waterfall that spills into the main pool, I can’t imagine. Still, such quibbles quickly dissipate during a session at the full-service spa. Wellness options here include everything from Ayurveda and TCM to Reiki, detox programs, crystal therapy, and—for the truly committed—colonics. I ask to try something with more of a homegrown flavor, and get assigned a three-hour Adam Traditional Malay Journey for Men (did I mention there was something Edenic about this place?). Rose, a sturdy therapist from KL, takes me to a low-lit treatment room decorated with batik and songket fabrics; instead of a massage table, a thin futon rests on the floor. The “journey” begins with a coconut-milk footbath, after which I lay prone on the futon for a powerful urut massage (for extra leverage, Rose climbs on top of me and digs her fingers deep into my muscles) and a rubdown with warm compresses of rock salt and cloves. 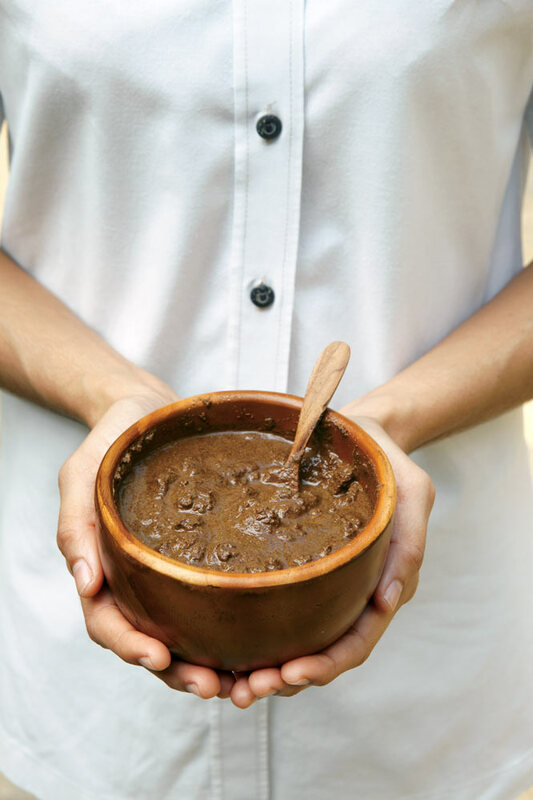 The boreh scrub—a gritty, brown exfoliant made of cinnamon, ginger, pandan leaves, and the wood of a native tree called pulasari—that follows leaves my skin tingling, a sensation that is soon replaced by the soothing embrace of a coconut-cream body wrap. Later, out of sheer curiosity, I visited the garra rufa fishpond just outside the spa. These so-called “doctor fish”—tiny members of the carp family—are natural pedicurists; stand in the pond, and a cloud of them will converge on your feet and begin nibbling away at any dead skin cells. It’s a popular enough treatment these days, but once is enough for me. Have you ever had a kitten lick your toes? It feels something like that—unbearable. From The Banjaran, I make my way to Penang, if for no better reason than that I adore the food and colorful old streets of George Town. I do, however, manage to make it out to Batu Ferringhi Beach, where the Shangri-La’s Rasa Sayang Resort, fully refurbished a few years back, is home to the island’s best spa, Chi. 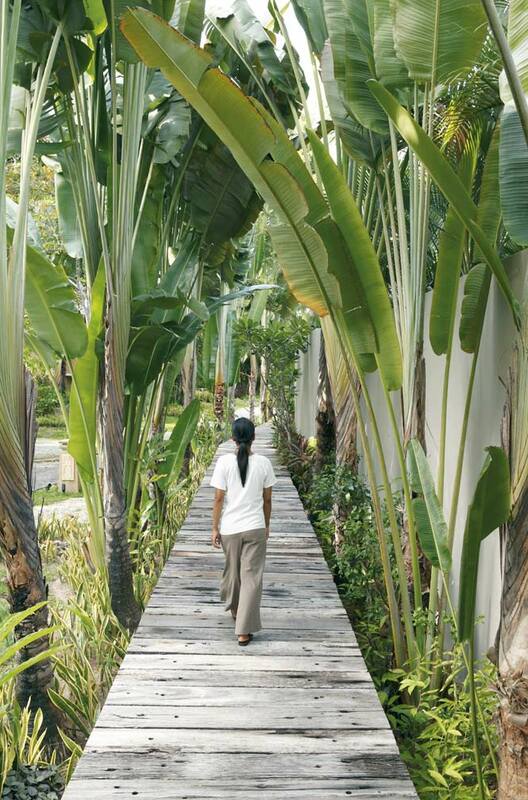 Set in a quiet corner of the resort at the end of a pathway shaded by rain trees, the spa’s treatment rooms take their aesthetic cues from Tibet. My Rasa Asmaradana massage, however, is Malay through and through, and fills the room with the scent of sandalwood oil. 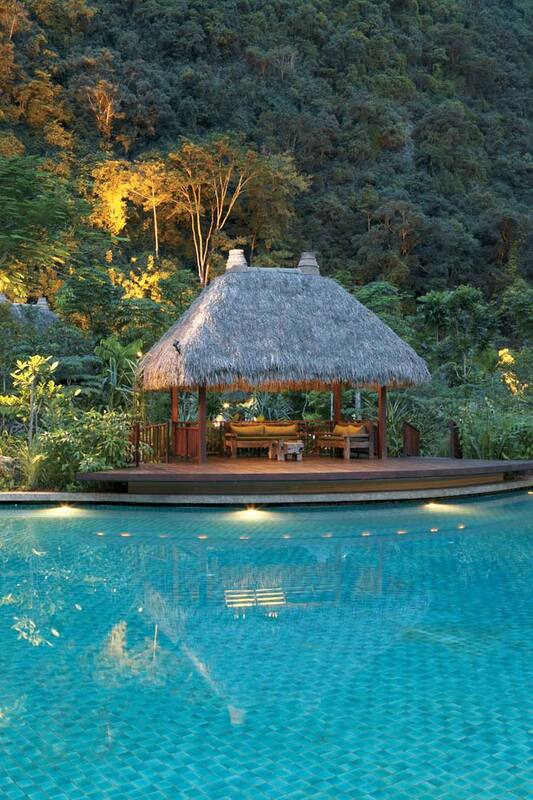 Above from left: Salvaged railway ties serve as footpaths at the Four Seasons Resort Langkawi; Banjaran therapists; limestone outcrops tower above the Banjaran; a soaking tub at Avi Spa. 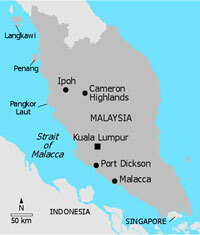 The next morning, I catch the early ferry to Langkawi, a three-hour passage across calm waters at the head of the Strait of Malacca. 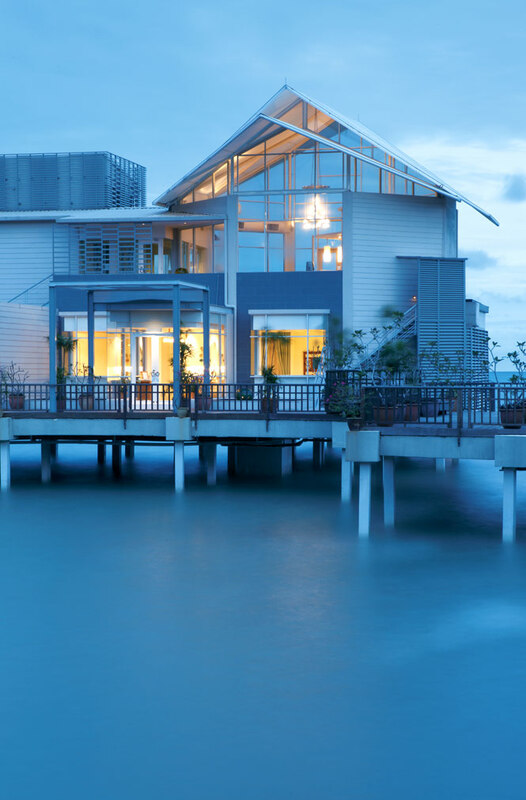 A short drive from the dock brings me to the island’s northeast coast, where the Four Seasons Resort Langkawi presides over a great sweep of white sand called Tanjung Rhu. To use a clichéd, but in this case entirely accurate modifier, my beach villa is palatial, with views out to the Andaman Sea that seem plucked from a postcard. I somehow manage to pull myself away and hop a golf buggy to the other end of the resort. 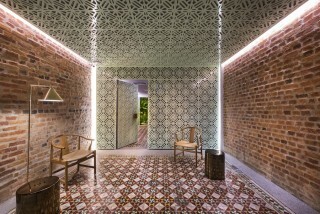 Like the rest of the property, the spa here has a Moorish accent that bears the stamp of Thai architect Lek Bunnag. Waiting for my session to begin, I sip ginger tea in a mint-and-mauve lounge area, admiring the reflecting pool that lies beyond a keyhole arch. The spa’s treatment rooms aren’t rooms at all—they’re 240-square-meter pavilions with lofty cathedral ceilings, acres of glass and wood, and luxuriant gardens that terminate at the base of a granite cliff. It seems a shame to spend most my time here with my eyes closed. But I do, surrendering to the expert manipulations of Yati, my island-born masseuse. After slathering me in melayu oil—an almondy blend of lemongrass, lime, melaleuca, ylang-ylang, and grapefruit oils—she delivers a massage that incorporates Thai stretching, urut, and the long strokes of Balinese massage. Is it the best treatment of my trip? That, I’ll leave for you to discover on your own. But afterward, as I sit outside in the garden sipping more ginger tea and watching sea eagles circle in the cirrus-streaked sky above, I feel like a convert. Turns out, I am a spa guy after all. A restored set of shophouses make for five of George Town's best new suites.